A space designed specifically for you, built around innovative technological and safety concepts. 500L is the car that can guarantee you all this. And it can tackle any situation, including the future. Do you want to learn how to cut fuel consumption and relative costs by up to 16%? 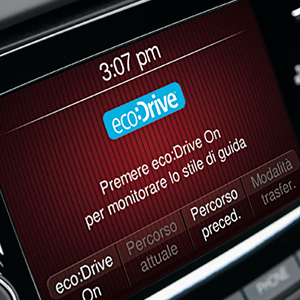 Fiat 500L eco:Drive will teach you how. 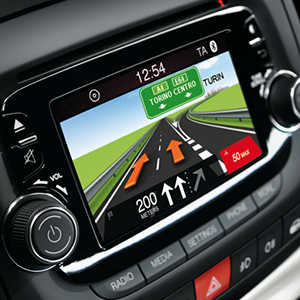 Every time you get behind the wheel, the application records your behaviour, displaying your eco: Index on the display of the Uconnect™ 5” Radio and provides you with real-time tips to help you correct mistakes and improve your style of driving. At the end of the training, you will be ready to enter the eco:Ville community and share your results on Facebook and Twitter. 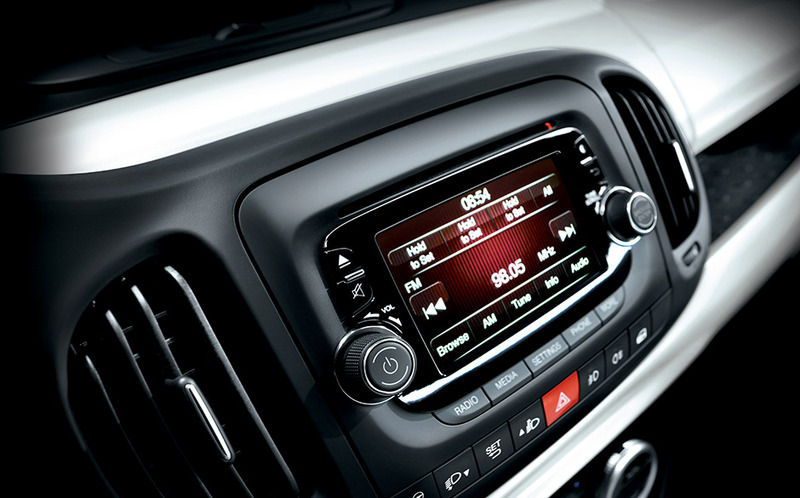 On your 500L you can listen to all the music you want: off your MP3 player, your smartphone, or a USB flash drive. And you can easily select it using the steering wheel controls. 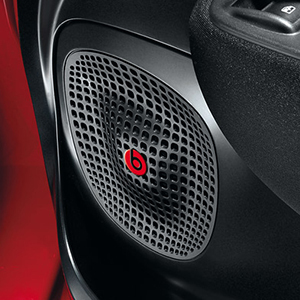 Moreover, its new premium hi-fi system developed in collaboration with Beats Audio exploits an advanced equalizer algorithm that creates a clean, high-definition sound. Through 6 speakers in the front and rear doors, 1 Subwoofer in the luggage compartment and an 8-channel digital amplifier, the new sound system can deliver a total power of 520 W.
The standard equipment ensures the highest levels of active and passive safety. Up to 7 airbags, ABS with B.A.S. (Brake Assist System) and the sophisticated ESC (Electronic Stability Control) which incorporates the ASR/MSR acceleration and deceleration anti-slipping function. Hill Holder to facilitate hill starts, DST active steering which improves driving safety and handling performance, as well as electronic rollover mitigation, ERM. And to make driving around in traffic safer there is the City Brake Control (available upon request), a device that detects the presence of other vehicles or obstacles and automatically brakes to avoid collision or mitigate its consequences.